CBSE Class 10 annual examinations will be held in March next year. 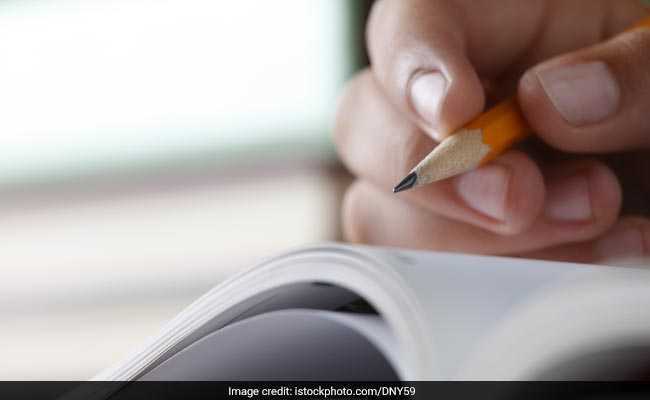 While everyone was bursting crackers, making rangolis, or decorating their homes during Diwali, you were one of the few students who is sitting in a room and studying for your Class 10 board exams. You barely have a few months left, but you have been preparing for these for a long time now. "CBSE Class 10 board exams are extremely important since they help you choose your subjects or even change your school. It is very important to keep practising and revising all subjects as much as you can," says Rajshekhar Ratrey, VP, Educational content, Toppr.com. "There are a lot of subjects and a lot more ways in which questions can be twisted to trick you," he added. For many of you, Maths is the most difficult subject. However, it is also the one subject in which you have a high chance of getting a perfect score. The key to scoring high lies in how well can you apply the various formulae. 1. Don't just try to rote-learn the formulae but understand how they were derived and how do they work. 2. Identify the various rules of using each formula. For example, you cannot apply the Pythagoras equation to triangles that don't have a right angle. 3. Solve various types of problems which use the same formula to understand how CBSE twist questions and trick you. 4. Make a table of all important values - from pi to squares and square roots of popular numbers. This will help you save time during complex calculations. 5. Once you have a clear understanding of all of the formulae and concepts, spend as much time as you can solving mock tests and previous years' question papers. 6. Ensure that you solve every mock test in a time-bound, exam-like setting. This will help you manage time better. Even though you only have one paper in science, you can develop your preparation strategy based on the three subjects - Physics, Chemistry, and Biology. 1. Physics depends on how swift and precise you are while solving numericals. They are the most scoring areas in the exam. 2. Apart from numericals, a large section of your questions will be based on theorems. While studying any theorem, create short notes of just the important steps and then go through these steps when you want to revise. 3. Make flashcards of all formulae, and keep reading them from time to time, preferably on a daily basis. 1. Don't try to memorise each equation mentioned in NCERT books. Organic and Inorganic Chemistry have rules that define the behaviour of various chemicals. For example, most Acids and Bases will react to form Salt and Water. You don't need to remember every equation that follows this rule, but just remember any exceptions. 2. Create a summary of each chapter in one page or less. Use this when you are revising a night before the exam. 1. If numericals and formulae are very important for physics and maths, diagrams are the extremely important for biology. 2. When you are writing your answers, ensure that you draw diagrams accurately and neatly and label it correctly. 3. Make flashcards to ensure that you get the spellings of various terms right. 1. When it comes to History, make a note of all important dates and events. Try to arrange these in a "Timeline" format so that you can revise them by just glancing at them. 2. Instead of simply rote learning the events, try to understand the reason why they happened, and dig deeper to form a story in your mind. You tend to remember stories better than dull historic events. 3. To master Geography, study the map thoroughly and solve previous years' board papers. This will help you accurately locate all landforms, mines, and other places on the Indian map. "Across all subjects, understanding concepts and practising them is essential. If you haven't started studying for this exam seriously, don't panic. Start now with increased dedication and energy," said Mr Ratrey while wishing you 'all the best!' for the exams.